Let us all acknowledge the truth about roast chicken: it’s not about the chicken, it’s about the vegetables. 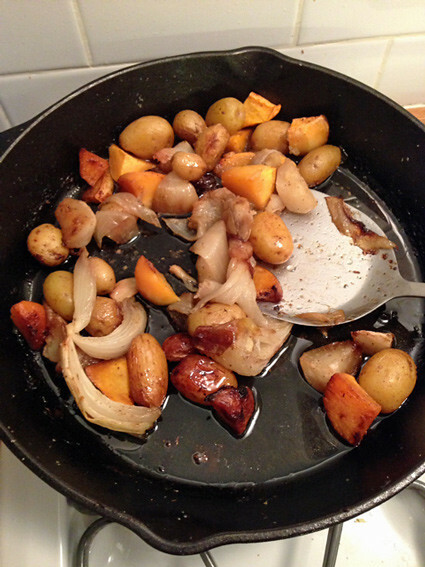 That truth dawned on me long ago when I used to line a roasting pan with red potatoes sliced in half, all surrounding a well-seasoned chicken; the rendered chicken fat would coat the potatoes, they’d get all crispy, and when it was time to eat, the actual roast chicken was an afterthought. 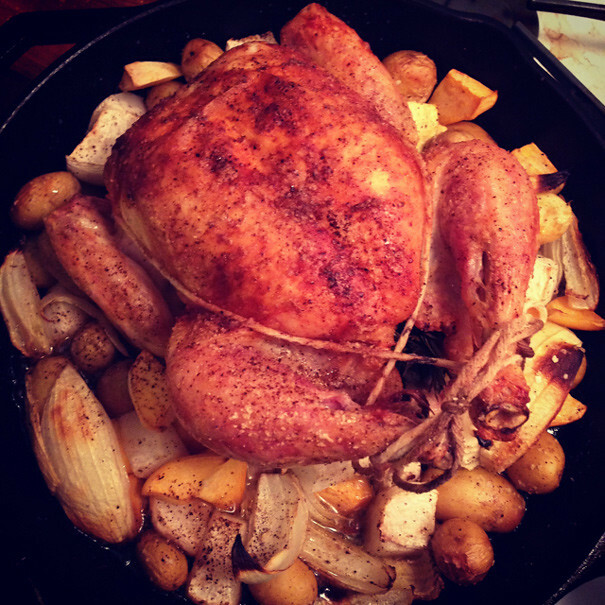 It only got better when I discovered Thomas Keller’s roast chicken: in with the potatoes went leeks, carrots, parsnips, rutabaga, turnips, and suddenly next to that pretty little bird would be vegetables as beautiful as the crown jewels. 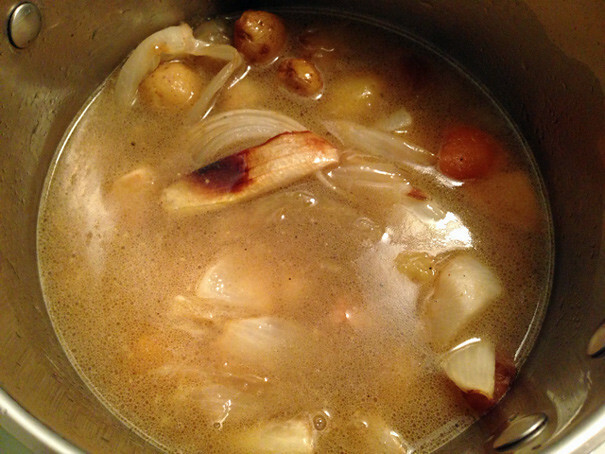 Now imagine turning those salty, schmaltzy vegetables into soup, a soup that takes about 5 minutes. Place them in a pot and cover with water. 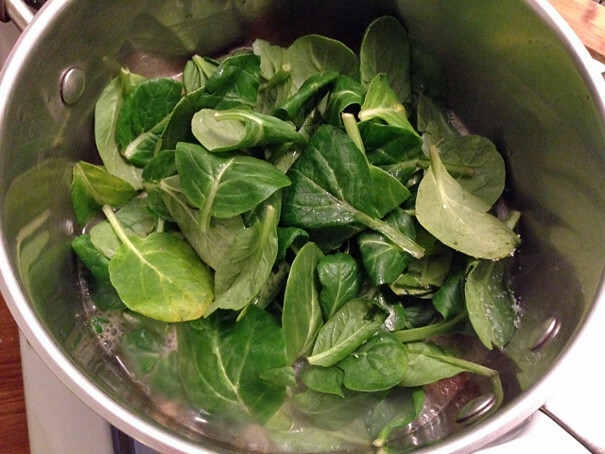 Make your chicken salad while the spinach wilts. 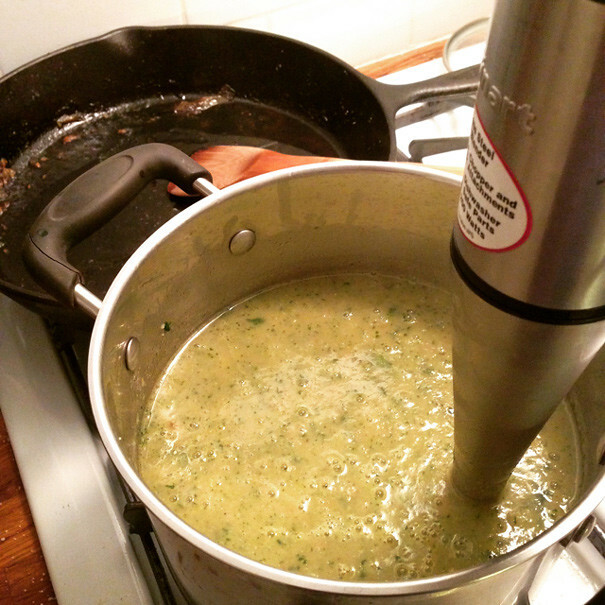 Now take out your hand blender and blend that soup! 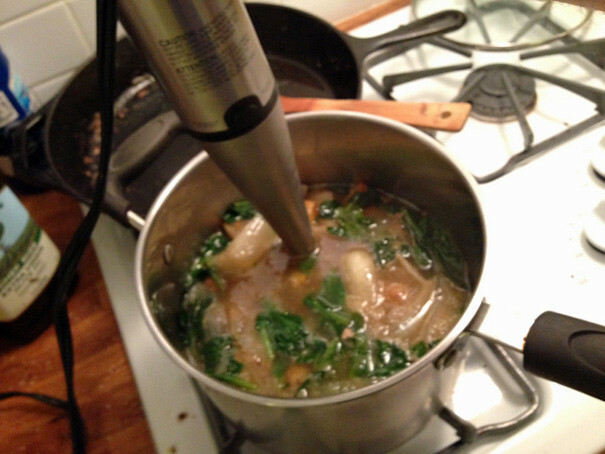 And behold: Chickened Vegetable Soup. 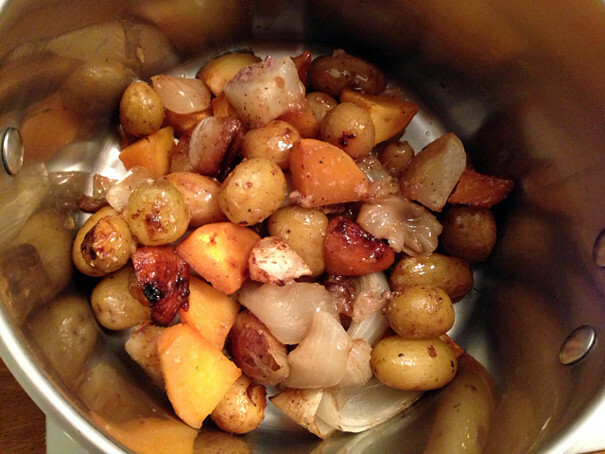 You won’t believe how flavorful this is, especially if you add a splash of white wine vinegar. 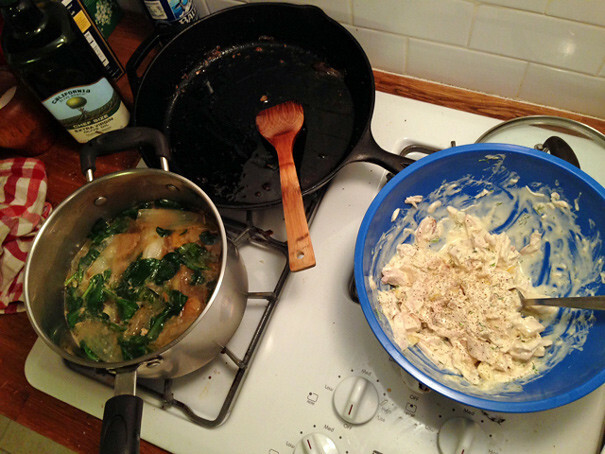 All that salty savoriness of the vegetables is now in the soup; sort of like a reverse-engineered chicken soup, because instead of infusing a broth with slowly rendered chicken fat, you worked that fat into the water via the vegetables. Or something like that, I’m not Harold McGee. I’m just Adam Roberts and this is a very good soup. Go make it.